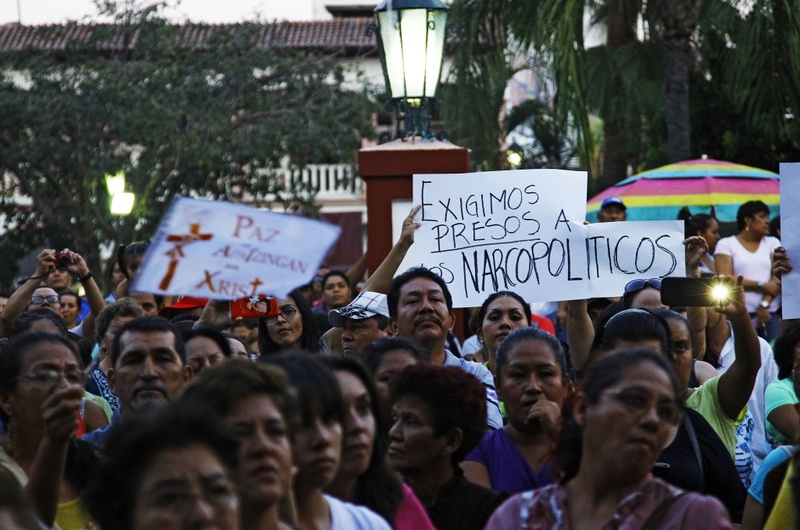 People hold a sign reading 'We demand narco-politicians to be jailed' as they take part in a march for peace in Apatzingan, Michoacan State, Mexico, on January 18, 2014. Federal forces in recent days have moved into Michoacan, in western Mexico, and tried to disarm the local vigilante groups and flush out the Knights Templar drug trafficking gang, which has seized control of large swathes of this state. In the Mexican state of Michoacan, armed vigilante groups have challenged a powerful drug cartel, known as the Knight Templars. Federal forces have moved in to dozens of municipalities and some residents are expressing relief and concern. For more, we're joined by journalist Verónica Calderón, she's a native of Michoacan herself and has been covering the situation for Mexican newspaper El Pais. LA sheriff’s race: Can outsider Jim McDonnell overcome tradition? Where are the politically engaged techies?